In case you were looking to secure a pair of boots from the Nike CR7 Chapter 4 series, we just got word that any orders on soccer.com come with FREE SHIPPING THROUGH 4/16. That might make it easier for some to invest in something from Cristiano Ronaldo’s latest signature boot series. 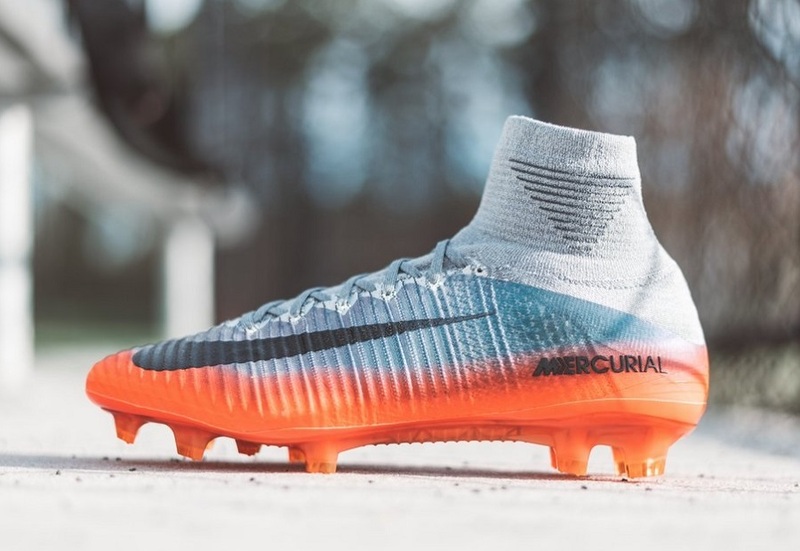 This version of the Nike Mercurial Superfly CR7 features a dynamic transition fade from Molten Red around the lip to Metallic Silver on top. The design is a nod to hot iron being forged into shape, just like Ronaldo as he transitioned into the Manchester United squad in 2003. He expected to wear number 28 as he had with his previous club, but his iconic manager had other ideas. “Alex Ferguson said to me: ‘Listen, I want you to take number seven,’” recalls Ronaldo. “I was surprised because I knew the guys who had worn that shirt.” Ronaldo quickly proved himself worthy of the seven shirt and forged his game and physique during his years in Manchester. Find the entire line-up available at soccer.com. *Free Shipping on CR7 Chapter 4 Footwear from 4/10 – 4/16. No code needed.